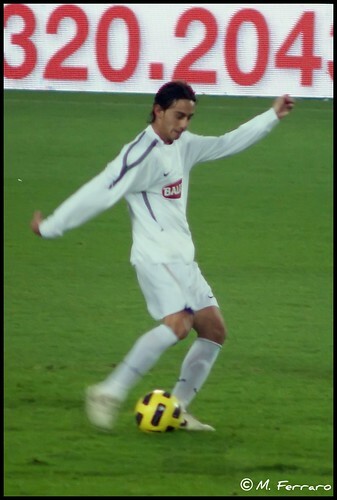 Being a loan player can be troublesome for some footballers especially once their loan time ends and there’s no confirmation that he will be permanently bought in the future, this kind of experience is pretty much what’s currently dwells on Alberto Aquilani’s mind at the moment. The Italian international recently confessed to the press that he isn’t convinced about his future at Juventus simply because his current status as a loan player that doesn’t have any other clause attached on him. This plain loan out deal from Liverpool to Juventus means that Aquilani must return to Anfiled by the end of the season and should the Turin club wanted him they will need a huge amount of cash. The former As Roma player himself admitted that the Premier League side are asking quite a lot for him and that money might put Juve’s management into further reconsideration in the summer. Despite there’s still uncertainty about his future, Aquilani promise that he will keep on giving his best to Juve as whatever his future status might be, this season playing with the Bianconeri has pretty much helped him restoring a bit of his quality. Having spend most of his time injured last season in Liverpool, the 25-years-old- player has started to find the form that catch the eye of many football fans during his time at Roma. I know it’s not easy. I knew coming here to Juventus that it would not be easy, but in all honesty I am calm, am not thinking about it and have never thought about it.Now I will finish off the year and try to give everything, as in any case Juventus have given me the chance to come back to Italy and have an important role in this squad,” Aquilani added. Should Aquilani managed to end the season healthy and consistently playing well, his future in the summer could still be bright even if Juve decided not to cash in on the Italian international as there might be other clubs that could prize him up. Not to mention with the new reign in Liverpool, there’s always a chance that the ex-Roma player might get another shot at Anfield as he actually gets quite a lot of affection from the Pool’s fans during his short spell at the club.